Headquartered in Battle Creek, the W.K. Kellogg Foundation opened an office this week in downtown Detroit at the Grand Park Centre building, located along Adams Street, just west of Woodward Avenue. 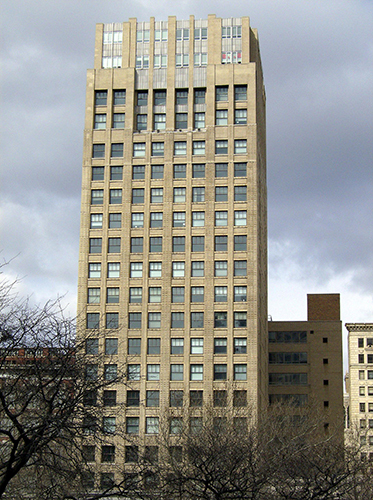 The building overlooks Grand Circus Park. The local office will help the foundation’s staff, who already reside and work in and around Detroit, to better support the local community and learn from residents, says La June Montgomery Tabron, executive vice president for operations and treasurer of the Kellogg Foundation, and the incoming president and CEO. “The issues facing children and families in Detroit appear locally and require local solutions, and our new office in Detroit will position the Kellogg Foundation and its local team to be an even more effective community partner,” Montgomery Tabron says. The office includes an informal co-working space that is available for grantees of the organization, says Sharnita C. Johnson, a program officer at the new location. Since 1933, the foundation has invested nearly $260 million in Detroit. In the last year, the foundation invested about $25 million in grants in the city to improve conditions for Detroit’s children. Recent grants supported such organizations as the Southwest Detroit Business Association; Projects for Public Spaces, which strengthens farmers markets and neighborhoods in Detroit; and City Connect Detroit, which provides employability training and work experience programs for youth.